Time surely passes very quickly where Petron, being the latest brand to enter the petrol market in Malaysia has already been around for almost 2 years now. If you haven’t already known, Petron takes over the retail business of Exxon Mobil which operated Esso and Mobil petrol stations previously. 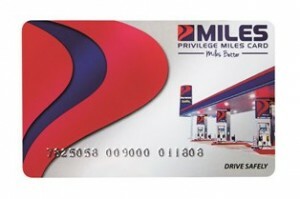 Petron recently launched the Petron Miles card which is the loyalty privilege card for Petron customers. The launch took place at a prestigious hotel in the Klang Valley which will effectively replace the Smiles loyalty card adopted by Esso and Mobil before this. It is recorded that there are about 1.5 million Smiles cardholders around Malaysia and the transition will be flawless as the points will be converted to Miles points now. There is no expiry date for the points collected and membership for the Miles card is free for life. Existing Smiles cardholders will surely be delighted that they can have their points converted to the new Miles card. One point will be accumulated for every ringgit spent on fuel which can then be used to buy fuels or products from the Petron stations nationwide or at the Treats convenience stores. Apart from that, points can be earned through AIG Insurance or Sentosa 4D Adventureland, partners of Petron. PreviousProton Global Small Car spotted in Cameron Highlands, could this be the new compact car?